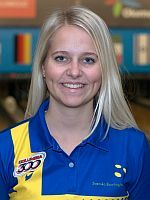 Cajsa Wegner of Sweden and Jaroslav Lorenc from the host country Czech Republic emerged as women’s and men’s champions in the 39th European Champions Cup Sunday afternoon at Bowland Bowling Center in Olomouc. 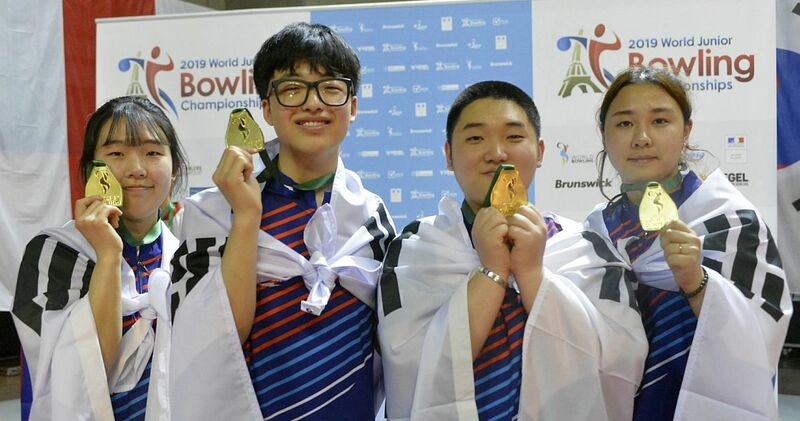 In the both championship matches in best-of-three games format the two top-seeded bowlers squared off. 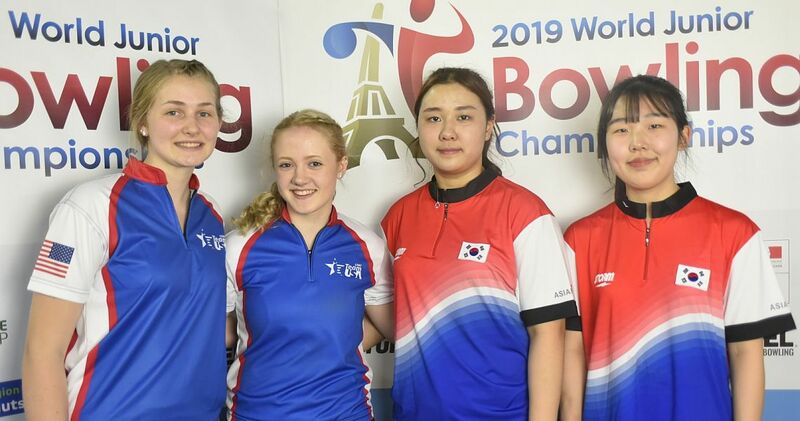 In the women’s finals, Wegener, who finished the 24-game preliminary rounds just one pin ahead defending champion and qualifying leader Maria Bulanova (left), fell to the Russian in the opening game, 214-237, but won the next two games, 247-217 and 219-217, to win the match and the title, two-games-to-one. 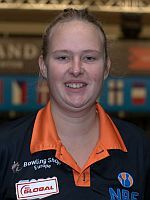 It is the second major title for the Wegner family within eight days after Cajsa’s sister Jenny Wegner captured the title in the 52nd QubicaAMF Bowling World Cup in Shanghai, China, one week ago. Local favorite Lorenc, who took over the qualifying lead from James Gruffman (right) of Sweden in the second block and never looked back, averaged 265.20 in the finals on his way to the title. 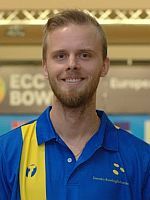 He defeated Gruffman, who looking for his second win in the European Champions Cup after 2012, in the opening game, 244-223, then struck on seven of his first eight shots in game two to force the Swede to strike out for a chance to win game two and to force a deciding third game. Gruffman went off the sheet for 236 but Lorenc spared a single pin in the 10th frame and struck on the fill ball for 247 to wrap up the title, 247-236. 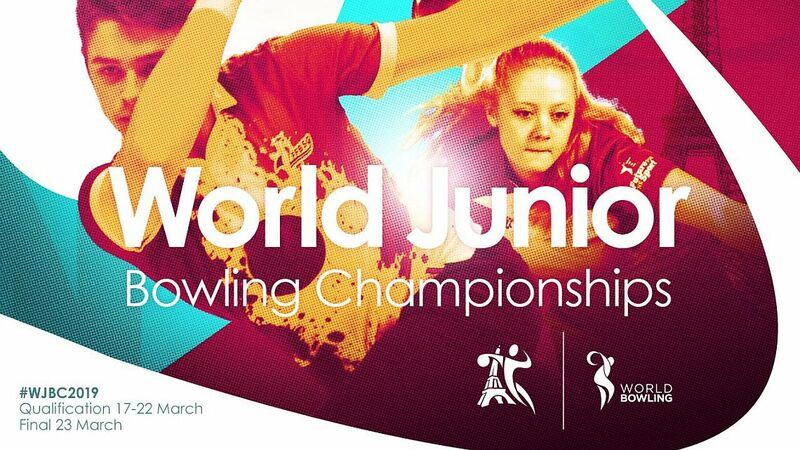 All semi-final matches, men and women, went the distance. Wegner eliminated No. 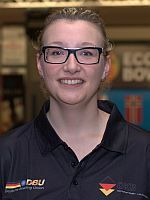 4 seed, Nadine Geißler (left) of Germany, with a 236-227 win in the deciding third game. 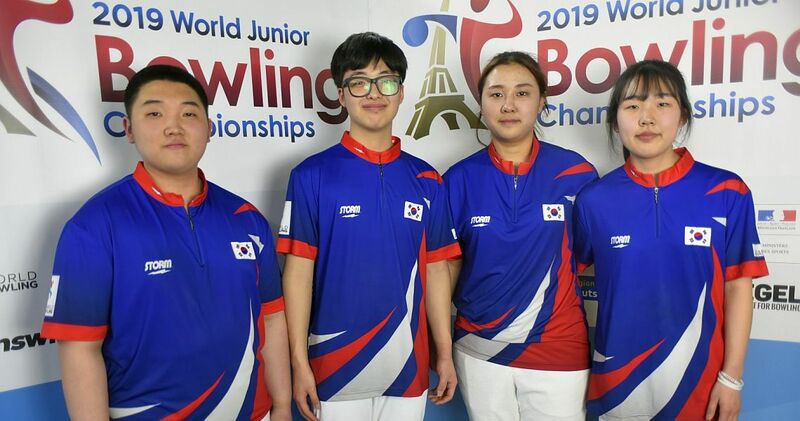 Bulanova rallied from a 0-1 deficit and defeated third-seeded Nicole Sanders (right) of the Netherlands, 233-191 and 216-204, for a 2-1 victory. The men’s semi-finals were an extremely high-scoring affair. 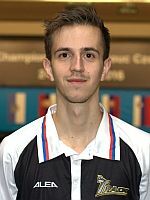 Lorenc was down 0-1 after losing the first game against No. 4 Hadley Morgan (below left) of England, 246-264. The qualifying leader and No. 1 seed leveled the match with a huge 289-199 win and the rest was downhill from here. 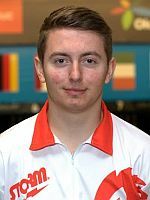 Lorenc reeled off 12 consecutive strikes to win the decider by posting the third perfect game of the tournament, 300-183. 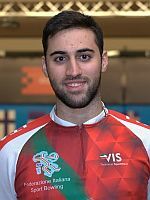 In the other semi-final match featuring two lefties, Gruffman defeated two-hander Antonino Fiorentino (right) of Italy, 264-246, then rolled a 290 in game 2 only to lose against the Italian’s near-perfect 299 game. Gruffman countered with a 245-237 win in game 3 to advance by two-games-to-one. 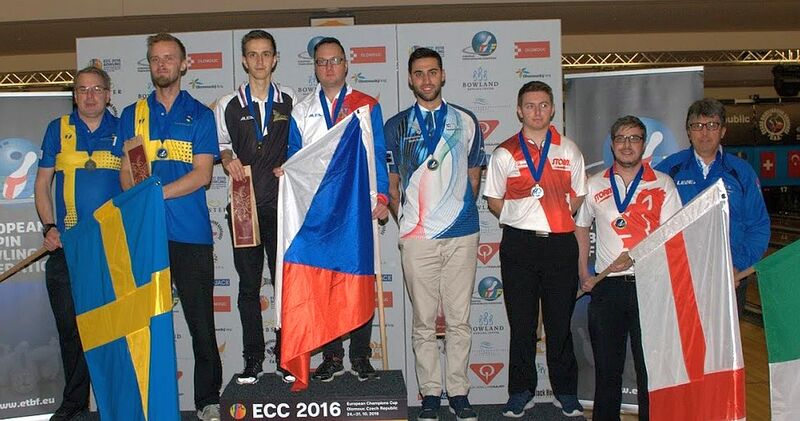 The 39th European Champions Cup took place from October 24-31 at 18-lane Bowland Bowling Center in Olomouc, Czech Republic featuring the men’s and women’s national champions or point ranking leaders of the European Tenpin Bowling Federation (ETBF) member federations. Men and women competed in separate divisions. 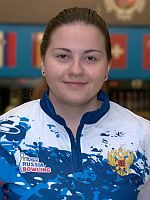 All players, including defending ECC champions, Maria Bulanova of Russia and Joonas Jähi of Finland, rolled two eight-game blocks of qualifying Wednesday through Friday on a 42 feet lane conditioning pattern. 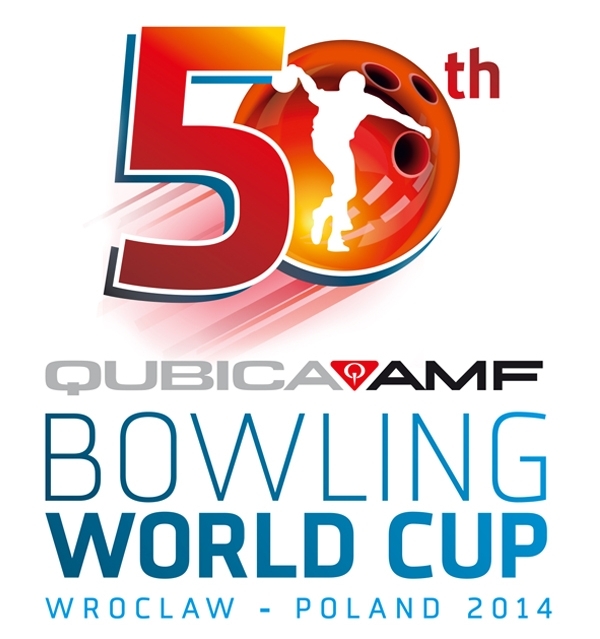 The top 16 men and 16 women will carried over their qualifying pins into Round 1. After another eight games the top 8 advanced to Round 2. Pinfall continued to carry over. 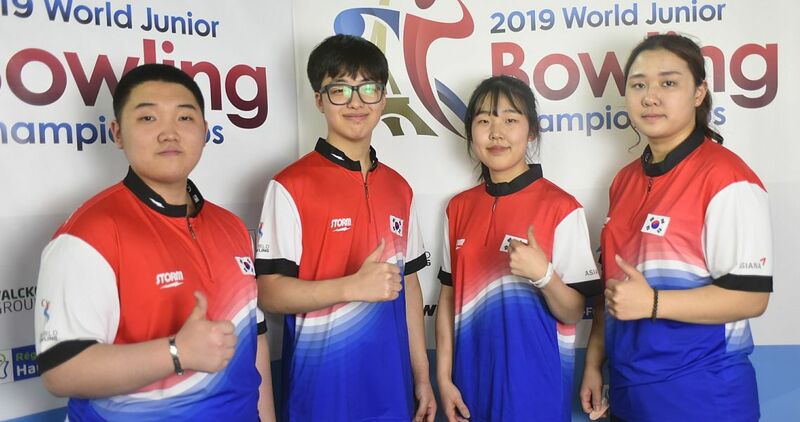 Those 8 bowled four more games before the cut to the top 4 who determined the champion in best-of-three games matches. In the semi-finals, No. 1 bowled No. 4 and No. 2 took on No. 3. 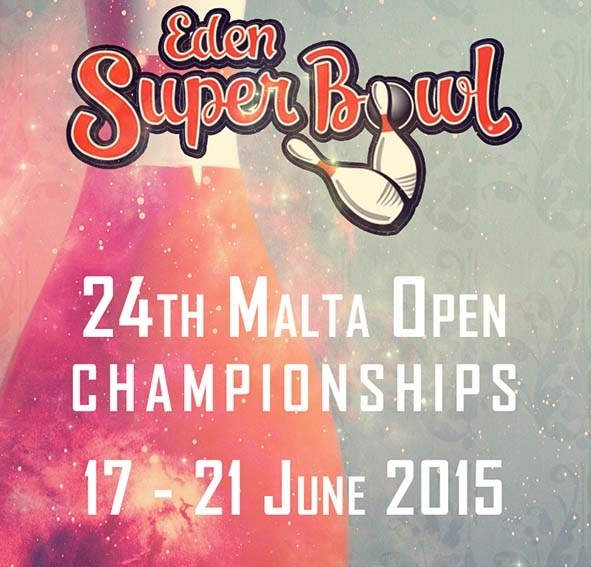 Full European Champions Cup rules can be found in the ETBF Constitution (Chapter 7; pages 47 and 48). 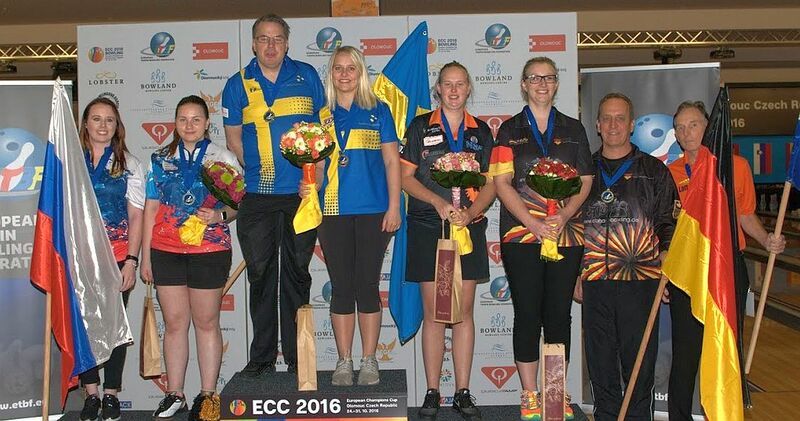 For more details on the 39th ECC 2016 read the Bulletin. 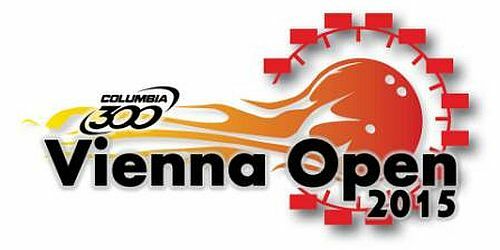 The 40th European Champions Cup will be held from Oct. 23-29 at Rollhouse Bowling Center in Ankara, Turkey.